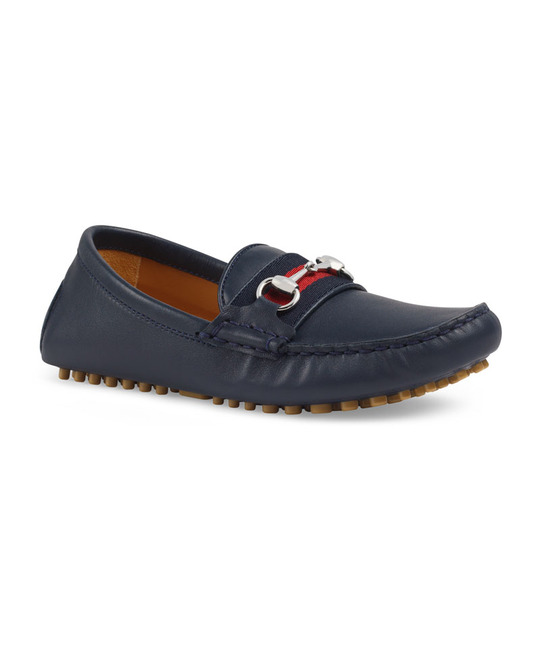 Gucci soft leather navy Kanye driver with blue & red web and silver horsebit finish. 100% Leather. Made in Italy.